MEDAGLIA D'ORO (1999). Black-type winner of $5,754,720. Stakes winner of 8 races in 16 starts. Travers S. [G1] (SAR, $600,000), Whitney H. [G1] (SAR,$450,000), Donn H. [G1] (GP, $300,000), Oaklawn H. [G2] (OP, $300,000), Jim Dandy S. [G2] (SAR, $300,000), Strub S. [G2] (SA, $240,000),San Felipe S. [G2] (SA, $150,000), 2nd Belmont S. [G1] (BEL, $200,000),etc. ; stakes-placed in 1 start at 5 United Arab Emirates, 2nd Emirates Airline Dubai World Cup [G1].Pacific Classic S [G1] (gr. I, 10f), Wood Memorial S [G1] (gr. I, 9f). 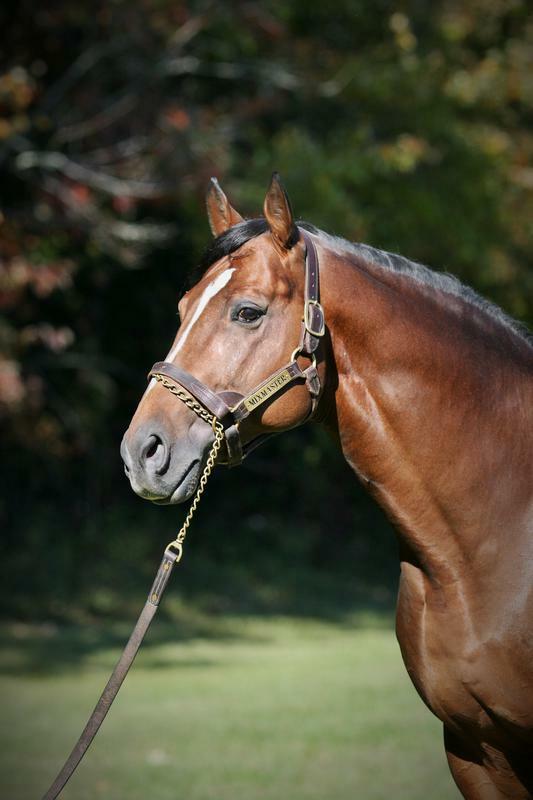 Sire of 4 crops of racing age, 450 foals, 288 starters, 26 black-type winners, 169 winners of 413 races and earning $23,844,922, including horse of the year Rachel Alexandra ($3,506,730, BlackBerry Preakness S. [G1] (PIM, $660,000), etc. ), and of Passion for Gold (hwt. at 2 in France, $268,125, Criterium de Saint-Cloud [G1], etc. ),Champagne d'Oro [G1] (3 wins, $614,940), Gabby's Golden Gal [G1]. Breeders' Cup S. [G2] (WO, $165,900(CAN))), once 2nd, once 3rd; at 3,unplaced. Earned $265,464..
Critical Acclaim (g. by Acceptable). 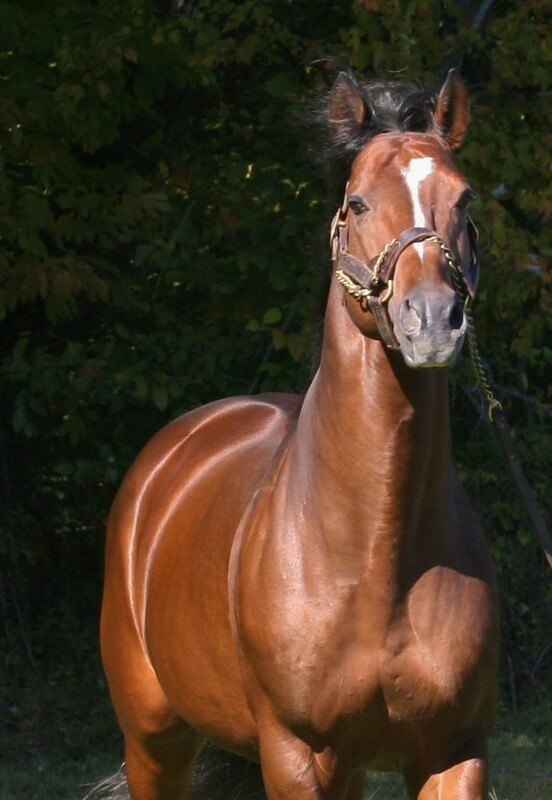 10 wins, 3 to 7, 2010, $304,219, 2nd Kelso S. [L] (DEL, $20,000), 3rd Coyote Lakes S. (AQU, $6,800). Privy Speech (f. by El Corredor). Placed at 2 and 3, 2010 in England. Emphatic, by Speak John. 4 wins at 3, $148,427, 2nd Affectionately H. [G3], Wistful S., Leslie J. S.-R, 3rd Next Move H. [G3], Rare Treat H. [L], Blue Norther S.-LR, Bristol H. Dam of 5 other foals, 3 winners, including-- MEENA (c. by Buckaroo). 16 wins, 2 to 8, $417,888, MAXXAM Gold Cup H. [L] (HOU, $60,000)-ntr, 1 1/8 mi. in 1:49 3/5, MAXXAM Gold Cup H. [L] (HOU, $30,000), Turfway Championship H. (TP, $27,284), 2nd Ark-La-Tex H. [G3], Thanksgiving Day H. [L] (CRC, $10,000), 3rd Tropical Park H. [G3], Alligator H. [L] (CRC, $5,500), Louisiana H. (FG, $4,688), Chick Lang, Jr. Memorial H. (RET, $2,750). Sire. CARLESE, by Proud Clarion. Unraced. 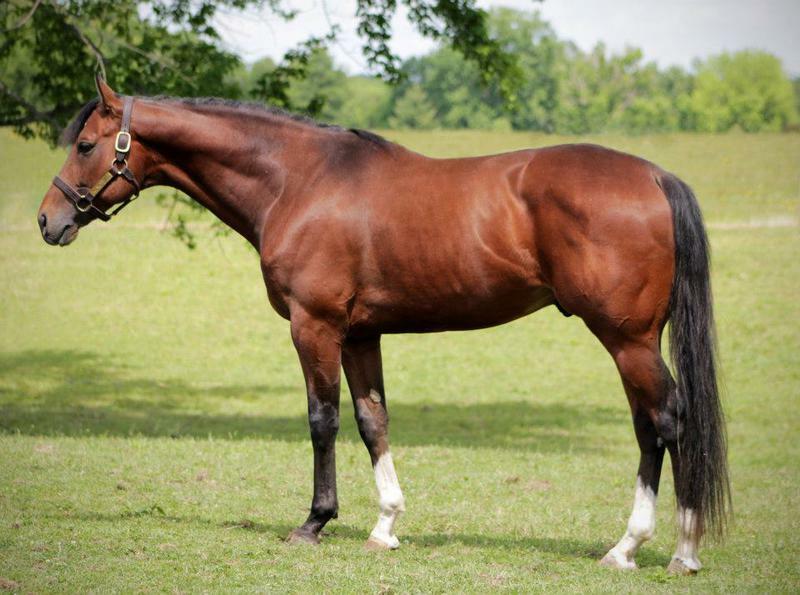 Sister to SALESIAN (sire), half-sister to GEORGE CHAMBLIN ($64,652, champion imported 3-year-old in Puerto Rico, Clasico Dr. Jose Celso Barbosa, etc., sire). Dam of--TENDER FORCE. 10 wins, 3 to 6, $223,598, Sonoma H. [O], etc. Producer. 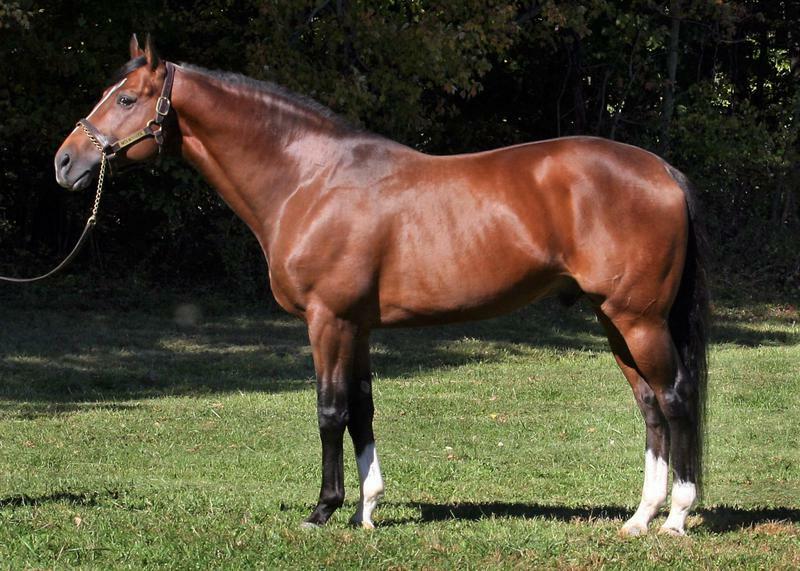 The majority of his progeny wins were against Kentucky/out of state sired runners.